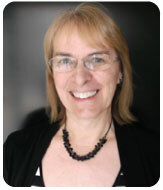 Debra Wanless is an active piano adjudicator, studio teacher, editor, examiner, music publisher, and composer. She has travelled across Canada and the United States as a pedagogy clinician. Debra holds a Junior Fellowship and Licentiate in piano pedagogy with Northern Lights Canadian National Conservatory of Music; an Associate of Music in piano pedagogy with Western Ontario Conservatory of Music [Conservatory Canada]; and post graduate studies in piano performance, theory and piano ensemble. Debra is a pedagogy specialist whose students have earned the Cora B. Arhens Award for pedagogy excellence. She is principal and founding member of Northern Lights Canadian National Conservatory of Music and the three-day Piano Pedagogy workshop, Summer Sizzle. Debra has served at the local and provincial levels of the ORMTA, is the founder of the North Wellington Camerata Canada Music Week Festival and worked for many years as music secretary to the Midwestern Ontario Rotary Music Festival. Her piano solos and ensembles have been selected for performance at festivals across Canada; for inclusion in the New Millennium, Contemporary Idioms, Northern Lights and Making Tracks Series; the Piano Now Syllabus; and reviewed in Clavier Magazine. Debra has edited, revised and written new material for the Leila Fletcher piano course (Mayfair/Montgomery Music), the James Lawless Theory Course (Waterloo Music) and arranges pop music for the ProMusic Company in California. Her books/materials include two Rhythm Workbooks, Elementary Harmony and Melody Writing, Let’s Begin, 101 Children’s Pieces, A Jazzy Day, Midnight Jazz , Matinee Jazz, Keyboard Harmony Books 1-3, Classy Piano Pieces, Boogie and Jazz Piano Styles, Groovin’ and What a Wonderful World in Big Note and Intermediate piano solos, intermediate Sacred Jazz Solos, More Sacred Solos, and 12 Christmas Songs. ​Debra’s pedagogy materials (Creative Teaching Understanding LEearning Styles and Demystifying Modes) and compositions (solos and ensembles) are also used and performed in Australia, Brazil, China, England, Guam, Hong Kong, Israel, Japan, New Zealand, Singapore, Switzerland and throughout North America. She is the recipient of the ORMTA Special Teacher Award, the Commemorative Medal for the 125th Anniversary of the Confederation of Canada and finalist for the 2011 Louis Applebaum Award for Music for Young People.